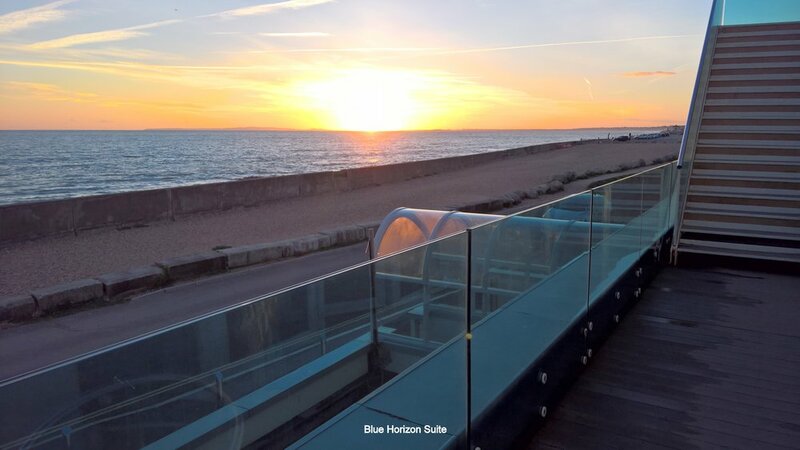 Our flagship Blue Horizon Penthouse Suite is a large (75.00sqm) south facing, luxury suite, offering magnificent views over Christchurch Bay, Sturt Pond Nature Reserve, Hurst Castle and the ‘Needles’ on the Isle of Wight. 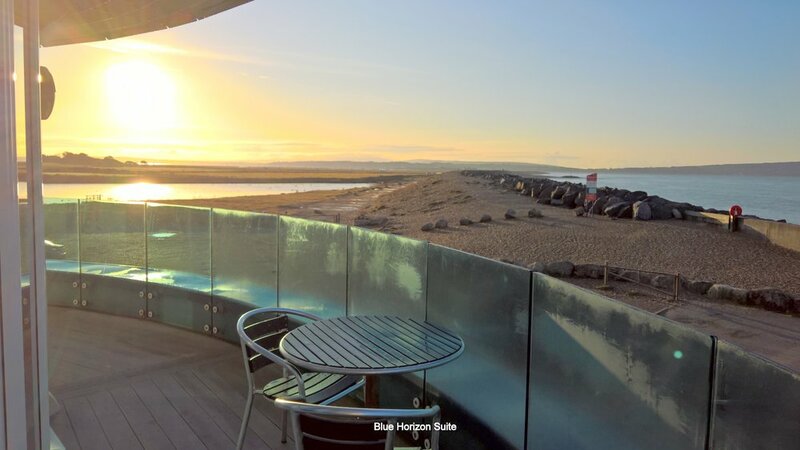 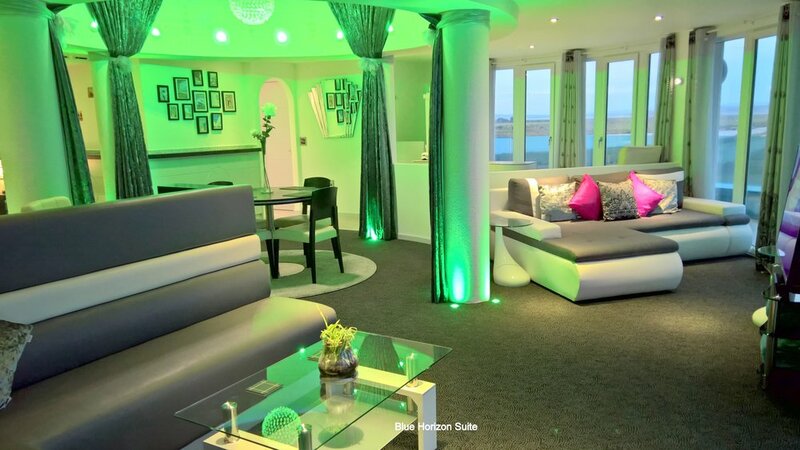 Situated at the front of the building, directly overlooking Christchurch Bay, it benefits from a large curved balcony, with direct, private access to our extensive panoramic roof terrace, which is currently shared by Marine House B & B Guests and our on-site independent ‘Raft Rocks’ Restaurant. 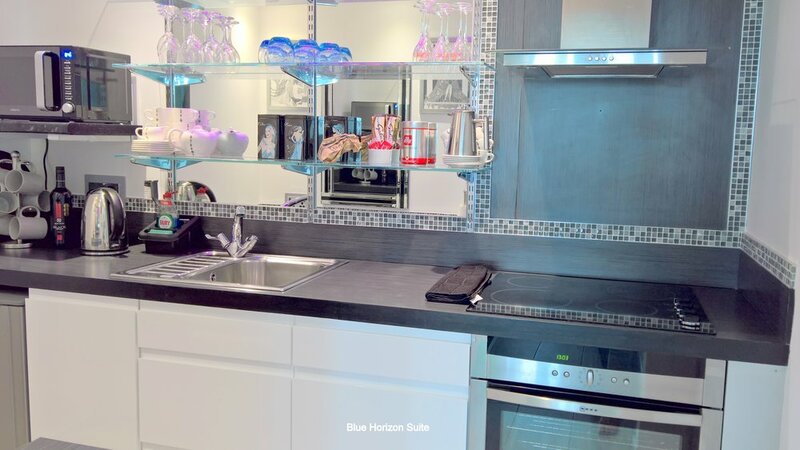 This luxury studio style apartment is decorated in the popular Art-Deco style of the building, offering a unique retreat from the day to day hustle and bustle of daily life. 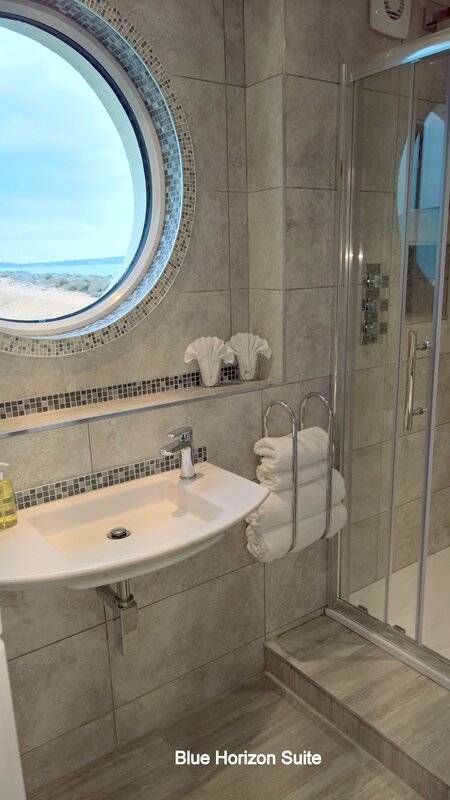 Our high quality linen is changed daily and bathrobes are provided to enhance your stay at Marine House. 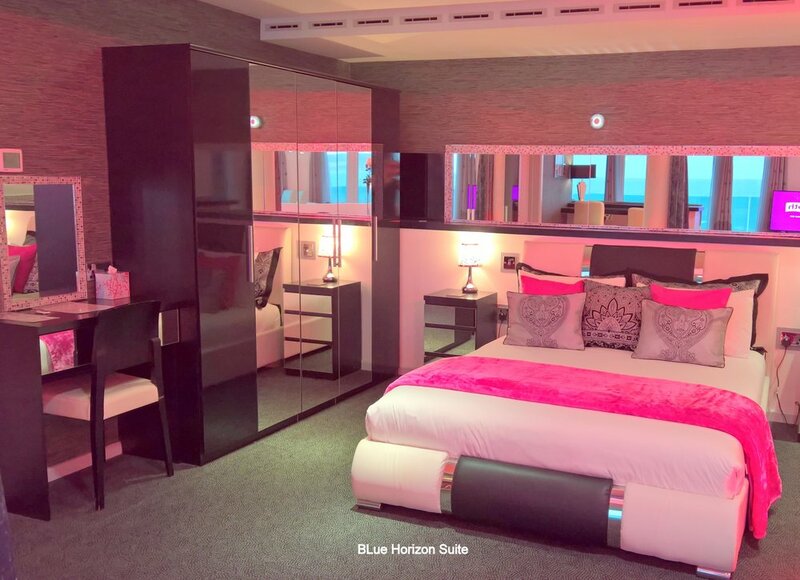 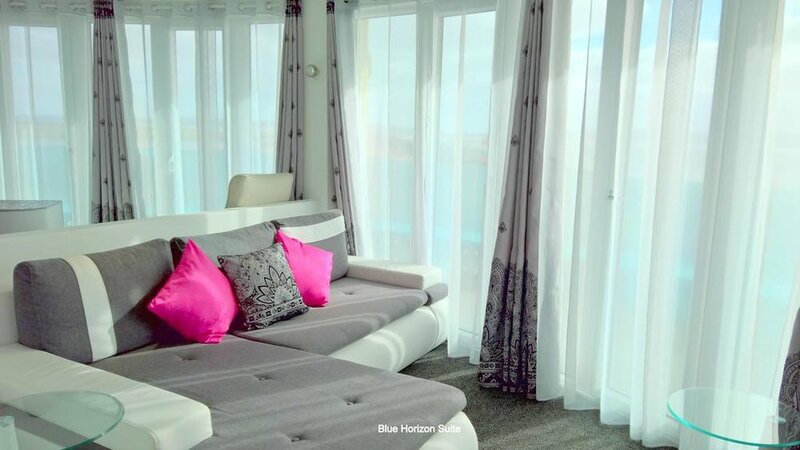 With a King-size double bed (5ft) and a large contemporary sofa bed, the Blue Horizon Penthouse Suite is suitable for couples looking for a relaxing beak, as well as families with two or three children, who would enjoy the unique location and shared living space.